A three million gallon reserve will be available to New York State. Governor Andrew Cuomo announced the first state-based "Strategic Gasoline Reserve," a three million gallon gasoline reserve that will be available to New Yorkers during emergencies such as Hurricane Sandy. 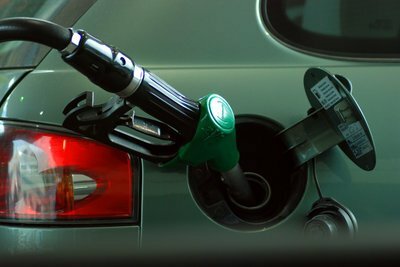 The plan is aimed at preventing a shortage of gasoline, such as the one that affected Long Islanders during the 2012 storm. The $10 million program will create a reserve to be tapped only during severe weather conditions and other emergencies, supplementing market deliveries to recovering gas stations and suppliers. Northville Industries won a bid for the project. The company has a terminal in Port Jefferson, and storage facilities in East Setauket and Holtsville. Gasoline from the reserve will be available for shipment throughout the entire state. In a statement, Cuomo said that the gas shortages that occurred during Hurricane Sandy were “incredibly disruptive". New York’s gas shortage lasted much long than the shortage in New Jersey, which started rationing earlier. The Strategic Gasoline Reserve is part of Fuel NY, an initiative to improve access to fuel during major emergencies. “Fuel NY will make our energy infrastructure stronger and better prepared than it ever was before," Cuomo said. The gas shortage following Hurricane Sandy and the frigid Nor’easter that hit the region shortly after led to a gas rationing system in New York. New York City Mayor Michael Bloomberg initiated an odd-even system in November. Despite the rationing system, incredibly long lines for gas were still prevalent throughout the area. Many Long Islanders reported waiting for several hours before being able to fill up, and some lines in front of gas stations exceeded a mile in length. The shortage also caused many gas stations to face lawsuits for price gouging. Some gas stations hiked up their prices between 17 and 59 percent following the storm. Subject: LongIsland.com - Your Name sent you Article details of "Cuomo Announces "Strategic Gasoline Reserve" to Prevent Gas Shortages during Emergencies"